There are many people who have great ideas and a vision to achieve something. Yet countless times, plans fall by the wayside, visions go unrealized, good ideas never get off the ground. Perhaps you have experienced this. Perhaps you had a vision for something but it never was fulfilled. What was this vision? What happened? Why do dreams fail and visions go unrealized? The answers are varied and in some ways complex, but many times, it can boil down to a problem in execution. While there exist many books and seminars related to management techniques and strategic planning, training and information related to execution is significantly lacking. What exactly is execution? Authors Larry Bossidy and Ram Charan answer the question in the title of their book: “Execution: The discipline of getting things done.” While they outline numerous important principles related to this topic (and for any serious leader, this book will be a huge resource), execution can also be considered in light of the Christian belief in the Incarnation. Fundamentally, the Incarnation is the most profound example of execution. God had a major leadership challenge before Him. The people He created had chosen to sin, which created an eternal separation between God and the people He loved. In God’s wisdom, He envisioned a plan to restore this relationship by sending the second person of the Trinity to earth to become a man. This mystery of the Incarnation is central to our faith because as the early Church Fathers wrote: ‘What has not been assumed cannot be redeemed.” Since Jesus completely assumed human nature, it has been completely redeemed. Visiting the place where the Word became flesh was a very moving experience for me, because I realized the significance of God’s work of execution. If God’s idea, his plan for the salvation of humanity had remained simply a plan, an idea, a hope, we would still be eternally separated from God by our sin. 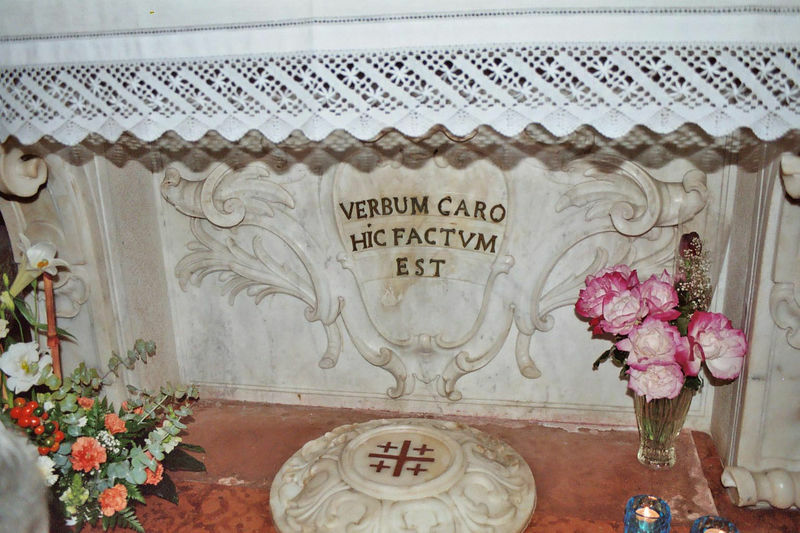 Without the Incarnation, there would be no crucifixion or resurrection. The Incarnation is the execution of God’s plan: the Word became flesh. Thus as we look to our own plans, dreams, and visions, we need to follow God’s example and incarnate them, enact them. This is where execution is so critical. 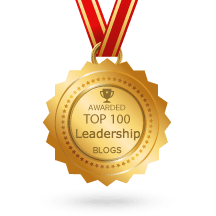 Where does execution fit in the process of leadership? 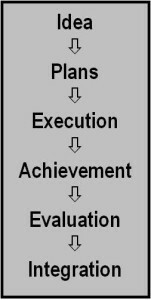 The diagram to the side illustrates how execution connects in the process of leadership. It is the link between ideas, plans and achievement. Execution is a discipline. No worthwhile business strategy can be planned without taking into account how to execute it. Execution is a systematic process of rigorously discussing the how’s and what’s, questioning, tenaciously following through, and ensuring accountability. Execution is the Major Job of a Business Leader. Many business leaders like to think that the top dog is exempt from the details of running things, that setting strategy from the mountaintop is enough. In reality, only a leader can make execution happen, through deep personal involvement. For many leaders execution can be the Achilles’ heal in their influence. Execution consistently implemented builds trust, confidence, and influence. Execution consistently ignored erodes trust, confidence, and influence. What positive results of execution have you seen in your organization or a group you belong to? What obstacles have you encountered in execution? What can you do to overcome these obstacles?